On the main colour mirrors system page it explains the main system. 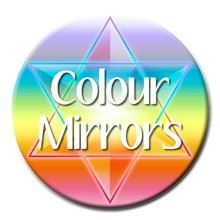 My introduction to Colour Mirrors was a number of years ago with Sharon King and I now use it as a stand-alone system and in combination with Reiki, EFT/ Matrix Reimprinting & Animal Communication/ Healing as well as for house/ land clearance work & galactic light work. This is the most complete and expanding system that I have known to date and coupled with its wonderful ability to combine with other therapies it is a fantastic system. It also holds the capacity to explore unknown fractions too and so came the birth of Special Colour Mirrors. With the planetary aspect it also holds the energy for astrology, angels led by Archangel Metatron, Dragons connect to the land, history and Druid energy, connecting via the Elements to the Tree of Life and the main earth chakras and higher chakras, as described by Diana Cooper. Tarot is also held in this system plus so much more. 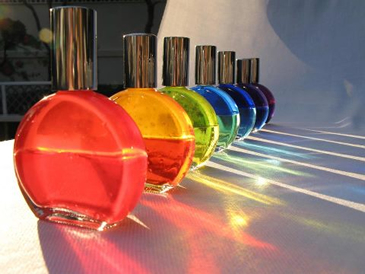 Colour Mirrors is really a system that connects to the sub conscious mind and has the ability to change and heal many sectors of ourselves that cannot easily be found by the conscious mind alone. For this part it works very well with talk therapies but has the addition of awakening the hidden parts that create our behaviours and can rupture our daily lives. It would be an understatement to suggest that this system of mirrors reflected in colour can change your world or at very least the way you see and live it! Colour is a one of the oldest known therapies in our land and as such can be very simple and primitive in its origin yet it can also hold some of the most complex moments and sacred geometry to enable and awaken to change in a safe and holding way. For those who believe that the world is really black and white this system holds the key to discovery and also contains the black and white intellectual energy. In this developing world this system is really a pathway to the future. You can begin your venture into colour today by just going to the colour bottles on this website and choosing one that you are attracted to and reading the written description with it. I myself worked for six months using just pictures and cards of the bottles to connect to them. For those who wish to explore more, see consultations & workshops on this site. Just be reading this you have begun, so enjoy the journey.